Now make calls from a passport! Sorry, I was just joking, here we are talking about the next big phone from blackberry which has been named as Blackberry Passport. 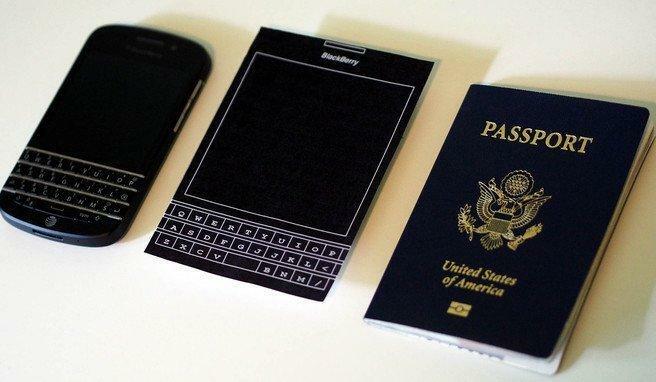 During the last quarterly earning reports, CEO John Chen unveiled the next big phone from Blackberry, the Blackberry Passport, which is said to have a traditional Blackberry design with QWERTY keypad and a sharp edged phone, pretty similar to a passport and that’s why they named it like this. It is expected to be the flagship phone of the company this year, but despite of having a traditional Blackberry design, users are demanding on screen keyboard along with a physical one. Here’s one problem with the physical keyboard, it doesn’t have the punctuation and numeric keys, which might be quite disturbing for Blackberry lovers and users. Another thing we noticed in the phone is that the space bar is placed between the ‘V’ and ‘B’ on the keyboard. The Passport has a 4.5-inch display with a 1440×1440 resolution which makes it a square and quite different from the everyday rectangular screens that we see. BlackBerry also made a deal with Amazon recently through which Passport users will get access to Android apps sold on Amazon App Store. But how BlackBerry will customize these apps to run on a square screen with a 1:1 aspect ratio?? 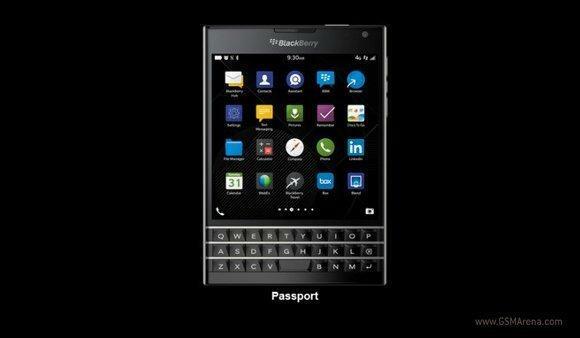 That’s still a secret and may be we will have to wait till September to see the Android apps running on the Passport. Even though BlackBerry hasn’t released any official specifications, rumors indicate the BlackBerry Passport will run a quad-core Snapdragon 800 processor with Adreno 330 GPU and 3GB of RAM. The smartphone is expected to have a 3450mAh battery. It is now clear that Passport will be launched at a UK event in September. CEO John Chen also announced that BBM for Windows Phone will be launched in July.